Editor’s note: This is the fifth in a series of essays about behavioral theology. Courtesy of Faith & Leadership www.faithandleadership.com. This sounds like just the kind of authoritarian nonsense that has long plagued God’s people, from Ezekiel’s complaint about priests who devoured the sheep in their care, to the disciples’ argument over who was the greatest, to the sexual misconduct scandals that rock the church today. One of the messages I received in seminary was that the worst thing a church can experience is an authoritarian pastor who has forgotten that the church is hers to serve rather than to control. I wholeheartedly accepted this message. But -- I realize now -- more than once in my early determination to avoid behaving as a controlling, authoritarian pastor, I overdid it. I slid toward becoming what Lovett Weems disparagingly refers to, in “Church Leadership,” as the “laissez-faire” pastor, not offering enough leadership. Echoing Weems’ concern, Jack Carroll points out in “God’s Potters” that pastors who are unwilling to lead can be even more damaging than those who are authoritarian. And if behavioral theorists like Cass Sunstein and Richard Thaler are right, the question whether pastors should make decisions that shape congregations below the level of their awareness isn’t even a sensible question. 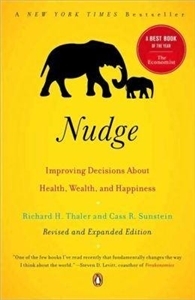 In “Nudge: Improving Decisions About Health, Wealth, and Happiness,” Sunstein and Thaler begin to define what a choice architect is by laying out the basics of cognitive theory and showing how the heuristics and biases in our thinking lead to predictable outcomes. For instance, one of the most powerful biases influencing human behavior is called the status quo bias, referring to our tendency to accept default settings, they write. Sometimes the consequences of this choice are immaterial. Who hasn’t been sitting at a Starbucks and reached for their iPhone or BlackBerry when another phone using the same default ring tone chimed? We could change our ring tones, but most of us just go along with whatever Steve Jobs thought best. Much larger and more troubling problems attributable to status quo biases involve choices like organ donation and retirement savings. Consider that the U.K. and the Netherlands have organ donation effective consent rates of only 17.7 percent and 27.7 percent respectively, while Belgium and France boast rates of 98 percent and 99.91 percent. What makes the difference? Countries with low effective consent rates such as Germany, Denmark, the U.K. and the Netherlands require citizens to “opt in” to organ donation registries. The default choice is non-donation. However, in countries where the default is set to donation, so that citizens who do not wish to donate must take steps to opt out, countries see close to 100 percent rates of effective consent. Sunstein and Thaler lamented a similar problem at the University of Chicago, where they both teach. Every November, employees were invited to enroll in health insurance and retirement plans. Every year the default setting for the retirement plans moved to zero; in other words, employees had to choose each year to participate, even if they had participated before. The effects were predictably abysmal. Many busy professionals assumed they were saving for their futures when in fact they weren’t. Thanks to Sunstein and Thaler, who presented this information to the university’s administrative officers, the institution changed its policy. Now, rather than resetting to zero, employees’ previous choices in the retirement plan are automatically their default settings for the next year. Employees are always free to opt out, but now it is nonparticipation that requires an active choice. When Sunstein and Thaler suggested these changes and the university administrators agreed to them, they were acting as choice architects. They were acknowledging that in certain situations, people are too busy, tired or inexperienced to make the very best choices. Coining the term “libertarian paternalism,” Sunstein and Thaler emphasize in “Nudge” that choice architects may nudge people to behave in certain ways by paying attention to how defaults are set and how decisions are framed. Choice architects avoid being coercive or manipulative by preserving freedom of choice. 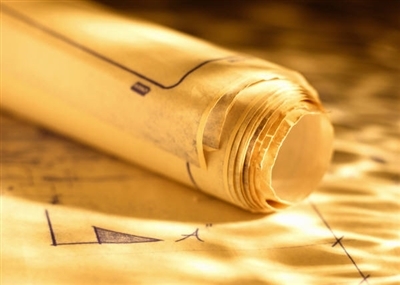 Not every situation calls for a choice architect. Sunstein and Thaler say choice architects need to create nudges in particular situations, such as when the benefits of a decision will be delayed, when people don’t have a great deal of experience in a given situation and when a situation is unusually complicated. Many people experience the church as a place where all three of these factors come together. First, especially for a newcomer, the benefits of integration into a church family can feel excruciatingly delayed early on a Sunday morning. After an initial emotional high has dissipated, people might find themselves wondering why they continue to write offering checks and show up to night meetings. Second, even people who have grown up in the church can find some aspects of ecclesial life mysterious and foreign. Given how different church can be compared with home or occupational environments, people may encounter choices at church for which they have little preparation. Third, given the thousands of years of church history and the complexities of scriptural interpretation, making informed decisions in the church can be, to say the least, an extremely challenging activity. For these reasons, churches are places where choice architects might create helpful nudges. A concrete example is church membership. As Christendom continues to unravel, the decision whether to join a congregation becomes increasingly complex. What does it mean to be a member? Is it similar to being a member at Costco or Sam’s Club? What does it mean to be a member of this particular congregation? If my family grew up Roman Catholic, is this pretty much just the same as being Southern Baptist or Methodist? If I was baptized as a child, do I have to be baptized again? Or if I was baptized as a child but am not really sure what I believe about Jesus now, can I be a member or should I just attend and participate? As a pastor in a mainline denomination, in my case the Presbyterian Church (U.S.A.), my sense is that the choices we offer regarding membership continue to reflect Christendom more than the world we’re living in today. We have traditionally offered four categories: baptized members, active members, affiliate members and … everyone else. The reality is that my congregants fall into a wider spectrum. I have members who may show up once or twice a year, and I have folks who regularly attend and participate yet aren’t interested in membership. The defaults in my situation are unhelpful. You’re either a member or you are lumped into a category that includes people who show up every Sunday plus everyone else on the planet. The absurdity of this situation became clear to me when a new couple began attending our congregation several years ago. “Alice” was able to affirm Jesus Christ as her Lord and Savior and answer all the other questions for membership, and she was interested in joining. “Bill,” on the other hand, wasn’t quite sure he could honestly answer all of my questions to meet membership requirements, but he wished to join, too. The expression on my face indicated that that might be a problem. He quickly explained that his previous pastor told him the questions were a kind of formality and he could just say “yes” whether he really believed his answers. Horrified, I told him that our tradition and his beliefs deserved better. I began to meet with “Bill” over coffee to talk about our faith and see whether he might be able to honestly affirm Jesus as his Lord and Savior. When it became clear that his affirmation wasn’t going to happen anytime soon, I felt backed into a corner. I wanted to bless this man who faithfully attended our congregation and supported us with his time and treasure, but at the same time I wanted to honor the integrity of our polity as well as the meaningful struggle of his doubt. At some point, I realized that our default choices were inadequate. The world I serve just does not break down neatly into Christian members who show up all the time and can affirm their faith in Jesus, and then everyone else. I have “members” I hardly see. I have faithful people who come all the time, who love our mission and support it but still aren’t entirely sure how they feel about our questions for membership. And I see people who can affirm the questions for membership but simply don’t feel comfortable being members of any institution. As one of my congregation’s choice architects, I decided we needed more options. Having taken an oath to follow my denomination’s polity, I knew we couldn’t amend the categories of membership given in our Book of Order. However, I realized that our Book of Order didn’t preclude us from adding a category. We noted the practice of the first-century synagogues that affirmed Gentiles who participated in worship but did not become circumcised and full members of the community. The synagogue called these people “God fearers.” In the same way, our session began to welcome folks we call “adherents” into the life of our congregation. Per our Book of Order, our adherents can’t vote in meetings, serve as officers or be counted as members. But we do bless them. We do name them. And we do count them in the records we keep when we number our own. When I meet with people who are interested in joining our congregation, I now have an extremely helpful choice to offer. In addition to “Bill,” we’ve named several adherents. Each time we bless new adherents, I give thanks to serve a creative congregation that respects our polity but at the same time feels free to question the defaults we’ve been given. We are creating a choice architecture more in keeping with the beloved community.